Are any of you the type of person that fills their online shopping cart full of clothes only to exit the tab and not buy anything? Please tell me that I’m not the only one! Online shopping can be a challenge at times because you never know which is the right size or if the style suits you. 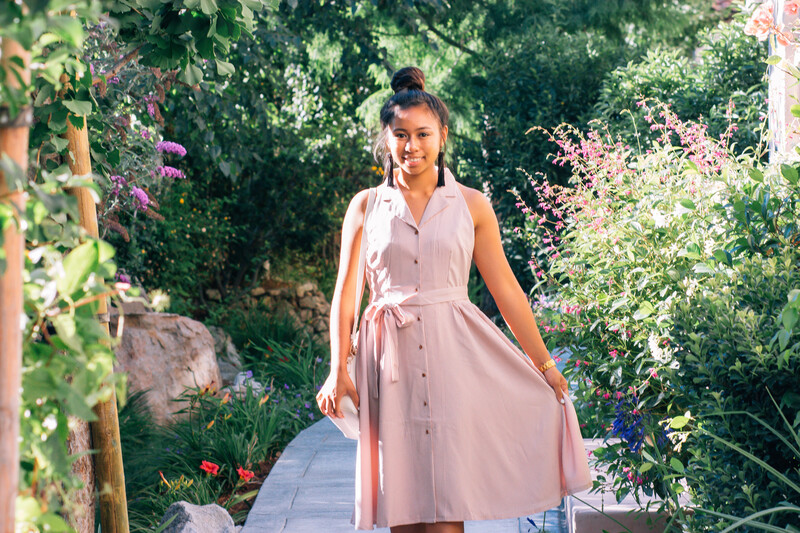 Despite all of the cons that come with online shops, I have continued to partner with Shein for the past three years because I love their clothes! 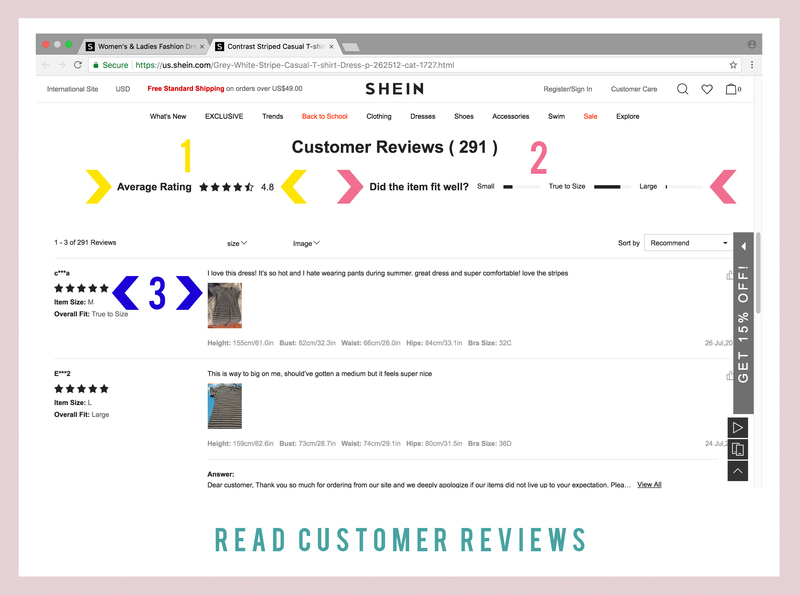 After working with this brand for so long, I’d like to share some tips for shopping at Shein as well as my own feedback on their products. Shein is an affordable online store for both women’s and men’s fashion. They have a variety of styles that are up to the latest trends. For example, Shein has modern, preppy, vintage, sporty, casual, work, party, and classy clothes. Nearly anyone can find something that will match their closet! I found Shein as a sophomore in high school through Pinterest. I was searching for midi skirts that were both chic and affordable because as a student I didn’t have a huge budget (and I still don’t lol!). After buying this red midi skirt for Valentine’s Day, I fell in love with the store. Not only was the skirt super cute, it also was very good quality to my surprise. It had pockets, which is always a plus! I decided to ask Shein if they would like to collaborate with me, and they said yes! Three years later, I still enjoy working with them and receiving their clothes. 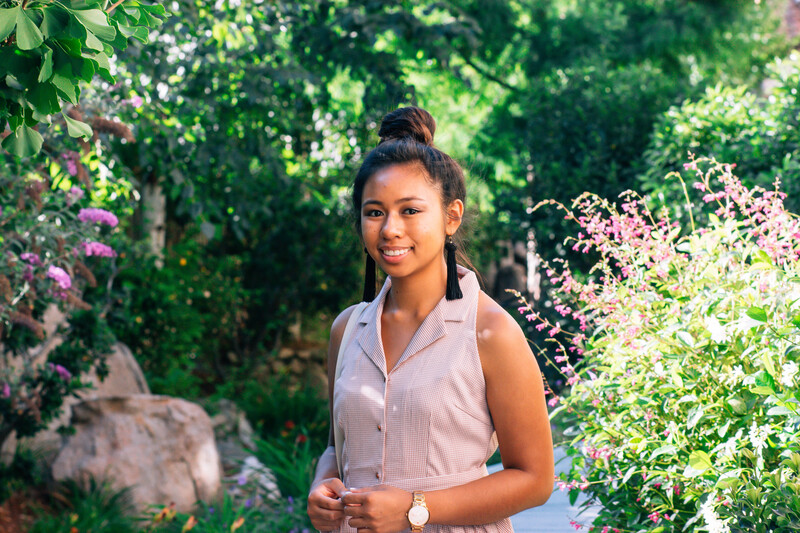 I am very thankful for my partnership with Shein because they have been a huge help in the growth of my blog. 1. Shein sells clothes that fit my personal style. I would classify my style as feminine, chic, and modern. Since I was little, I’ve preferred wearing dresses and skirts over anything else. 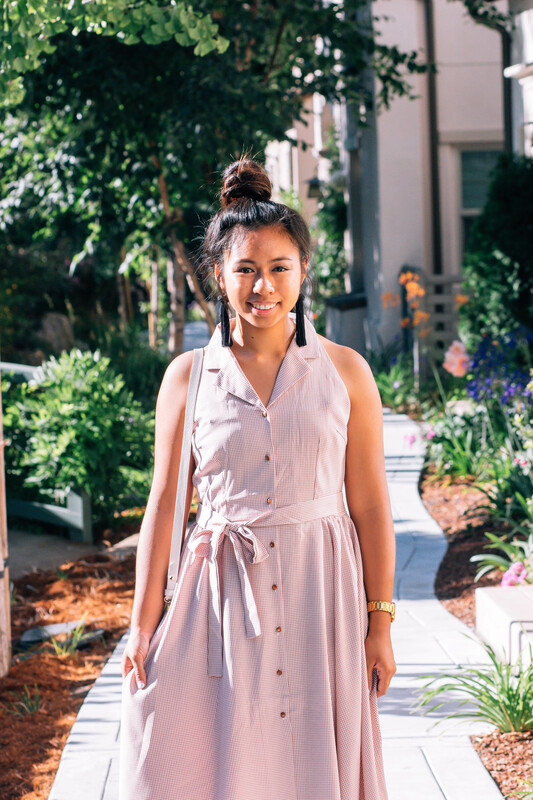 When I started to develop my own style during middle school, it was always a challenge finding dresses and skirts that I liked in my local mall. I’d go on Pinterest and see all of these bloggers wearing beautiful and classy dresses and never be able to find them in stores. Furthermore, the clothes of these bloggers were from brand names that I could not afford. Shein’s variety of styles makes it the perfect place for not just me but anyone to shop in. 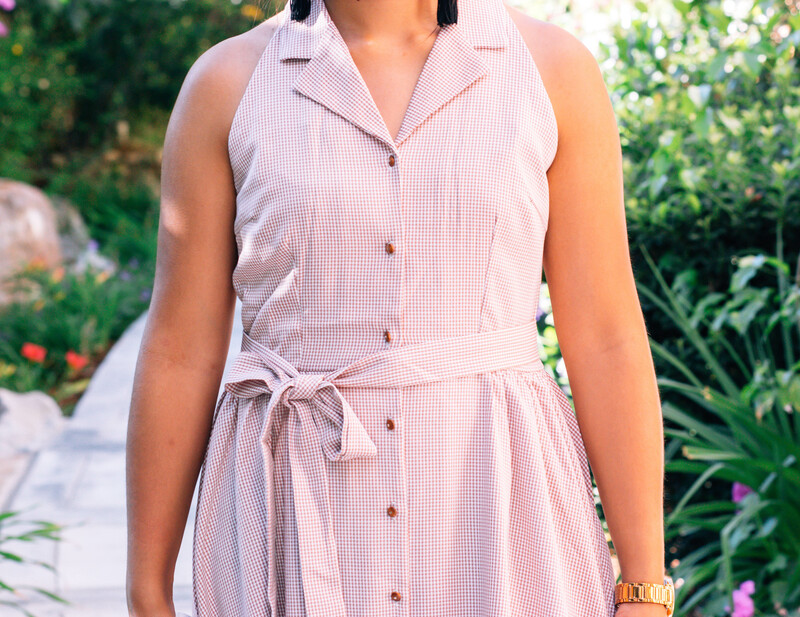 To give you an about Shein’s prices, the dress above is $32. 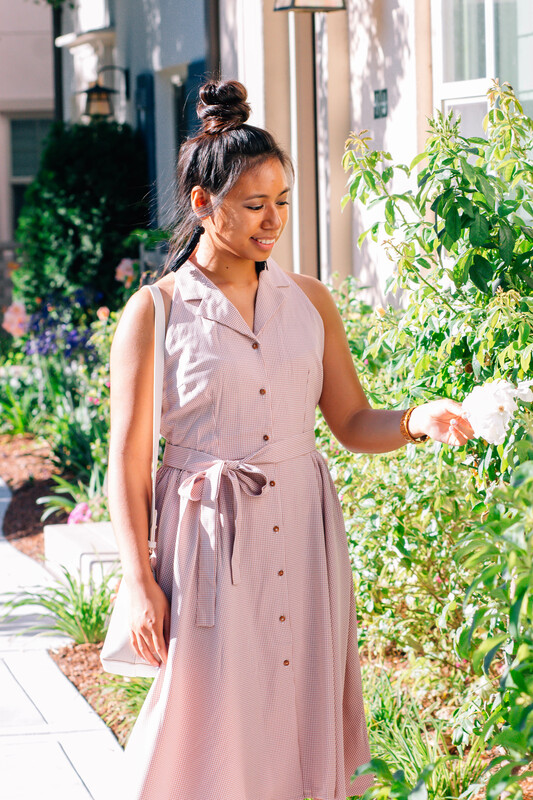 The white, button dress from my last post is $24. 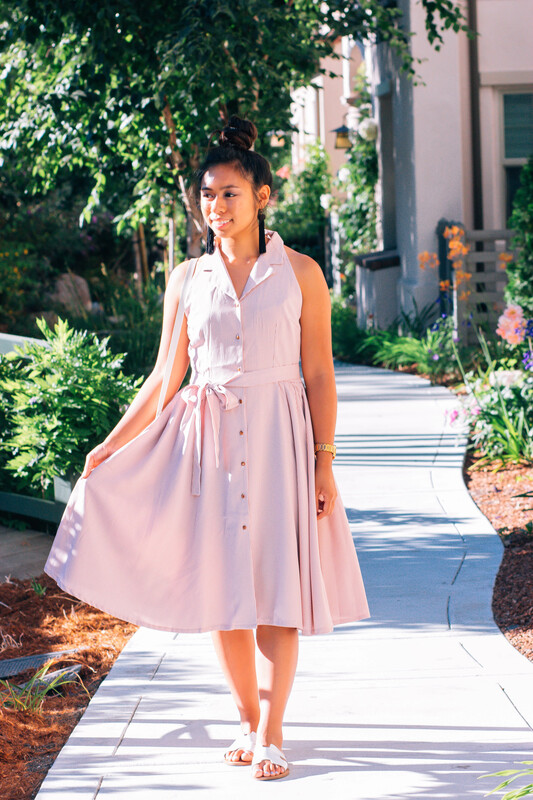 Most of their midi skirts range from about $10 to $15. I live about 5 minutes away from the mall and have gone shopping there more times than I’d like to admit. The chances that you are able to find dresses of this style AND are knee length are soooo low. With the slim chance that you do find them, they are most likely over priced. The same thing goes with online stores. 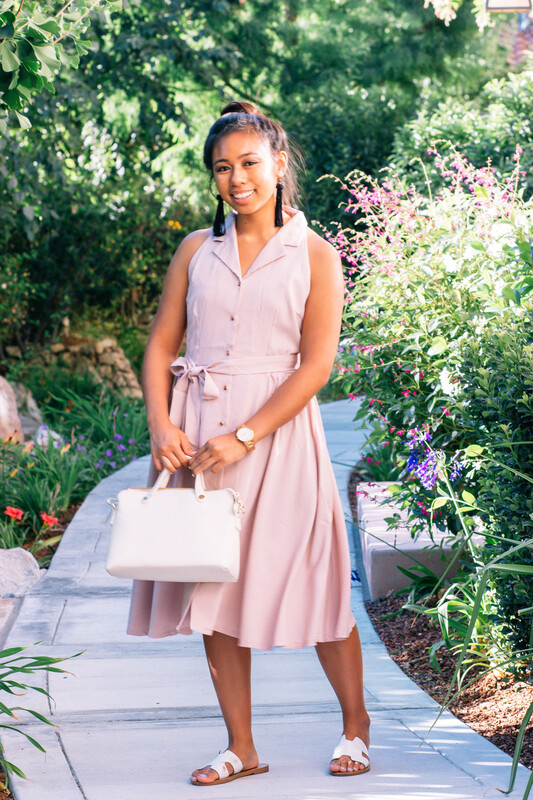 Online boutiques that specialize in midi dresses and skirts have selling prices that are often over $50 for dresses and $30 for skirts. Shein’s great prices and selections are reasons why I continue to promote this brand. 3. Shein’s clothes are great quality. There’s this stigma that clothes that are low priced and sold online are cheap quality, particularly clothes from Shein. However, I have bought clothes from popular stores like Forever 21 that were terrible quality. I believe that every store will eventually sell clothes that aren’t the greatest quality or style, Shein no exception. I’ll talk more about how to make sure that you can ensure that you get the best quality clothes while online shopping at Shein in the section below. Nonetheless, most of Shein’s clothes are great quality. It’ll surprise you! You’d think that it was worth way more than its selling price. First, log onto www.shein.com and select a category. I selected the Dresses category becaaaauusee who doesn’t love dresses lol? Then, filter the dresses by selecting a category under Sort By. I selected the Most Popular category because those are the dresses that will have the most customer reviews. After selecting an item, look at how other customers have styled the item through pictures that they uploaded in their reviews. This is a great way to see how the item will fit on your body type. You can also get ideas on how to wear it! 2. How the item fits. If the item is True to Size, then you know that the best size to order is the one you’d usually get in stores. 3. Read and consider customer reviews. Some customers even provide the size they ordered and their body measurements, which you can use as a reference. If you’re still unsure of what size to order, click on the sizing guide which will provide measurements for each size. Another thing to note is that their maxi skirts/dresses can be a bit too long for people that are short (like me!). If you don’t want to spend extra to get it cut, I’d double check on the length of maxis.